Due to the fact that innovation is at the heart of tomorrow’s industrial and economic models, 30 start-up will be selected by a committee of experts and will compete to win the “Start-Up MICROTECH Challenge”. A formula dedicated exclusively to start-up from € 250 excl. tax. 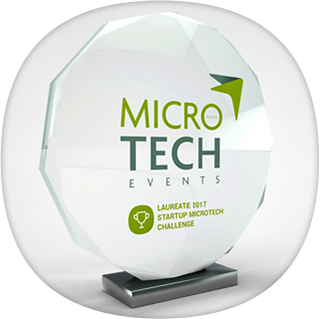 YYou benefit from a meeting schedule and you take part in the “Start-up MICROTech Challenge”. The best start-ups of Precision techniques and Micro / Nano techniques are present on MICROTECH.